As your portfolio has grown, so too has its complexity and the resources needed to manage it. As Financial Advisors, we have the knowledge, experience and commitment necessary to manage your investments on an ongoing, fully discretionary basis, providing you with objective advice on critical financial matters. Working closely with you, we will develop an investment strategy focused clearly on your objectives — one that reflects your lifestyle expectations, cash flow needs, risk tolerance and aspirations for your family. From there, we will help you build a portfolio informed by the resources and insight available from Morgan Stanley, one of the world’s largest financial firms. When you look at wealth management from a long-term perspective, one thing becomes clear: it’s your future, not just your money. And over time, we can help you navigate the noise and distractions of challenging markets, providing a disciplined sense of focus on what’s most important — your goals. Rich DiMaio is a Senior Vice President, Family Wealth Director and Certified Financial Planner™ (CFP®) with Morgan Stanley. 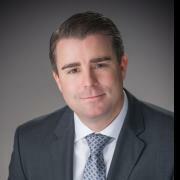 He joined the firm in 1995 after graduating from St. Joseph’s University with a Bachelor’s Degree in Economics. Rich formed The DiMaio Group at Morgan Stanley to service the needs of high net worth families, with a focus on Financial Planning, Risk Management and Investment Analysis. With over 20 years of experience, Rich works closely with his clients to develop tailored strategies to address a wide range of needs. Clients of The DiMaio Group & Morgan Stanley have a deep pool of resources at their disposal including: Access to Cash Management & Lending, Estate & Wealth Transfer Strategies, Insurance Planning, as well as Alternative & Private Equity Offerings. Awarded entry into the prestigious Masters Club at Morgan Stanley in 2016, Rich continues to garner recognition from the Firm for his strong work ethic, character & ability to manage client assets in a suitable fashion. Rich lives in Chevy Chase and enjoys spending time with his wife Susan & their three children, Maggie, Richie & Jack. He’s also an avid golfer, skier & loves to travel. 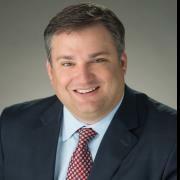 Frank Newby is a Financial Planning Specialist with The DiMaio Group at Morgan Stanley and began his financial services career in 2001 after graduating from The University of Maryland with a Bachelor’s Degree in Economics. A second generation Financial Advisor, investing and the Capital Markets have been a passion of his since he was a child. Frank focuses on delivering impeccable client service, investment advice and leveraging the resources of the Firm to deliver relevant Capital Markets data. Partnering with Rich & joining The DiMaio Group at Morgan Stanley gave him the opportunity to work alongside someone who shares the same vision, attention to detail & commitment to excellence. A native Washingtonian, Frank lives in Bethesda with his wife Bridget & their two sons, Declan & Grayson. Outside the office, Frank can be found on the golf course, at a Nat’s game, or relaxing with his family.